Please note that sheets, duvet covers, pillow cases and towels are not provided. You may bring your own or order through Peninsular property management who will make your beds for your arrival. £150.00 security deposit to be paid on all bookings to secure breakage or mis-use, refunded 5 days after stay as long as the holiday home is left in a good order and no issues. £150.00 non-refundable deposit to be paid at time of booking with balance to be 6 weeks before the start of the holiday. If at time of booking there is less than 6 weeks, payment to be made in full. Any bookings less than 7 days duration will incur a £30.00 cleaning fee. A travel cot/high chair can be provided at no additional charge with at least one weeks notice prior to arrival. 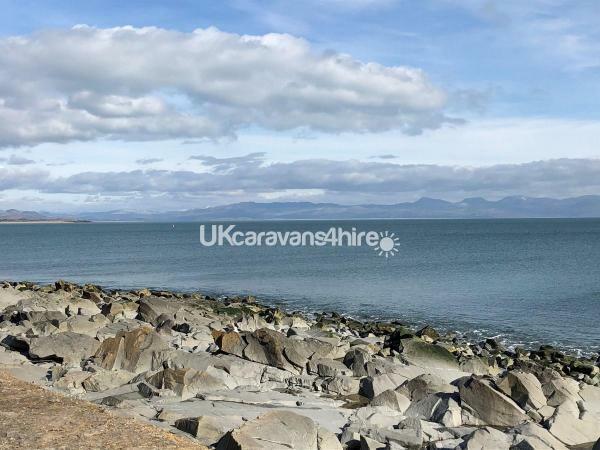 Sit yourself down and enjoy the views across Cardigan Bay to the Snowdonia mountain range while watching the dolphins swim by. It’s not a bad start to a day. Our holiday home at Gimblet Rock, Pwllheli is the perfect place to relax and take time out and if you like sea views they don’t come much better with an uninterrupted vista across Cardigan bay without moving from the sofa (so that’s the rainy day activity sorted). Pwllheli Marina couldn’t be closer so if there’s nothing else going on sit and observe the boats coming and going from one of the finest yachting facilities in western Britain. 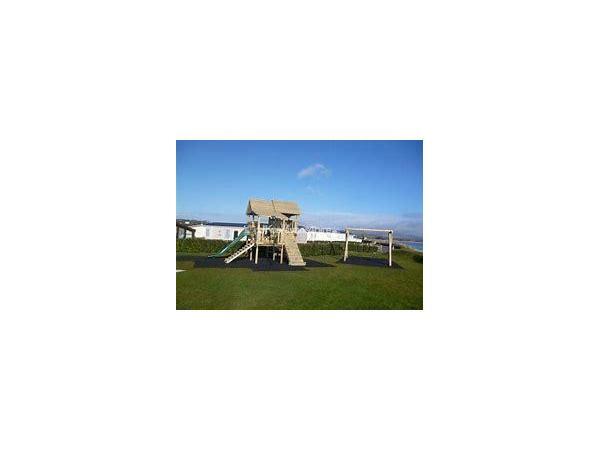 Gimblet Rock 5* holiday park in Pwllheli is part of the Haulfryn group and offers everything you need to relax and switch off. If you want nightly entertainment, kid’s clubs and every minute of your day filled with planned activities this is not the park for you. Gimblet Rock is perfect for those that want beautiful views, a beach on your doorstep and a great location to get easily around the beautiful Llyn Peninsula. 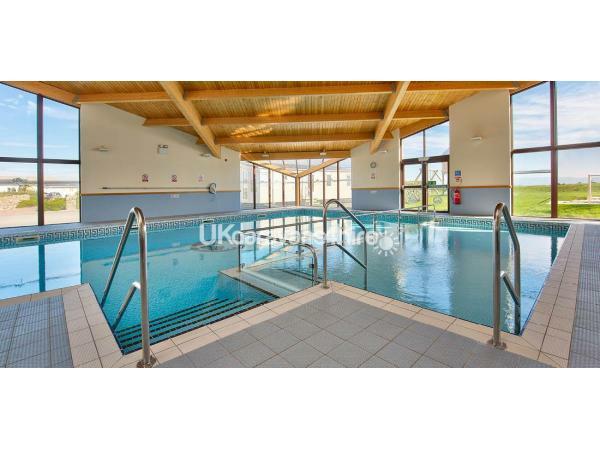 On site you’ll find a well maintained pool and sauna, fitness suite for those that want it. Children’s indoor and outdoor play area and a friendly café bar. Activities are planned for special events and during school holidays, any planned events can be viewed on Haulfryn’s Gimblet Rock page. Once you’ve dragged yourself away from the sea view, walk out of the park and you’ll find yourself on the blue flag ‘South beach’ and if you like a walk you can take yourself the 3 miles along the beach which is part of the 81 miles of the Llyn Peninsula coastal walk to Llanbedrog, or a few miles further will bring you to the popular destination of Abersoch. 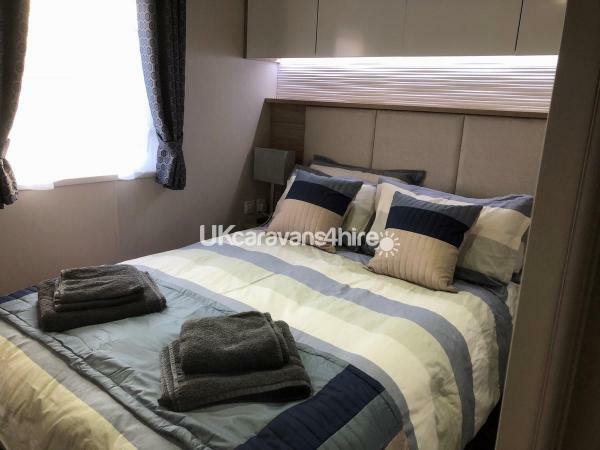 Alternatively, a short walk from the park along the beach will take you to the promenade and an easy walk into Pwllheli town where you’ll find a small amusement park, supermarkets, restaurants, coffeeshops and the fish and chip shop. Two shops definitely worth a visit are Pysgod Llyn, the local fishmonger who sells an amazing selection of fresh fish with it’s in-house deli and it’s definitely worth popping in to the local Spar, it’s like no spar you would’ve gone to before with freshly squeezed juice, 28 day hung beef cut on site and fresh lobster! Market day in the square is Wednesdays and Sundays throughout the summer. 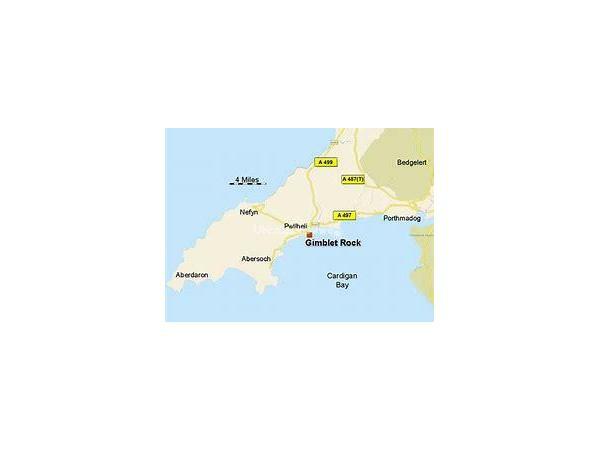 Everything on the Llyn Pennisular is easily accessible from the unofficial capital, Pwllheli. It’s just 7 miles by car to Abersoch and just a 20-minute drive to Morfa Nefyn on the North side where you’ll find the bar “Plas Coch”, officially one of the top 10 beach bars in the world, or head to Aberdaron to go to the beach that literally whistles as you walk. Gimblet Rock doesn’t just give you access to the most beautiful coastline and beaches you’ll also find it a great location to access Snowdonia National Park and destinations such as Zipworld or Surf Snowdonia to name just a few. Your accommodation is perfectly laid out to enjoy the breath-taking views whatever the weather. 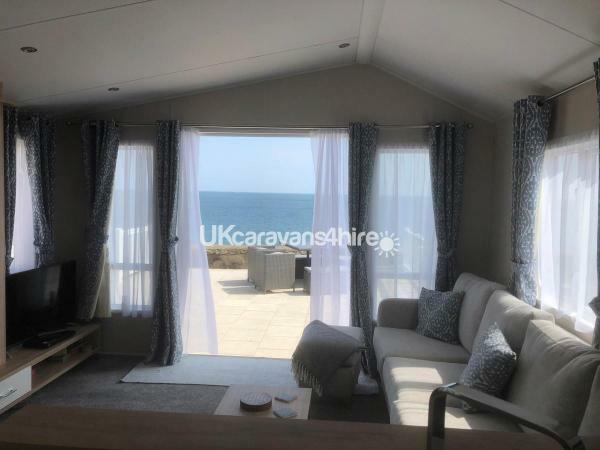 On sunny days sit out on the deck and cook and eat alfresco, sadly as we can’t book the weather you can be toasty warm in the centrally heated holiday home enjoying the sea views from the sofa, kitchen and dining areas when the weather is less favourable. 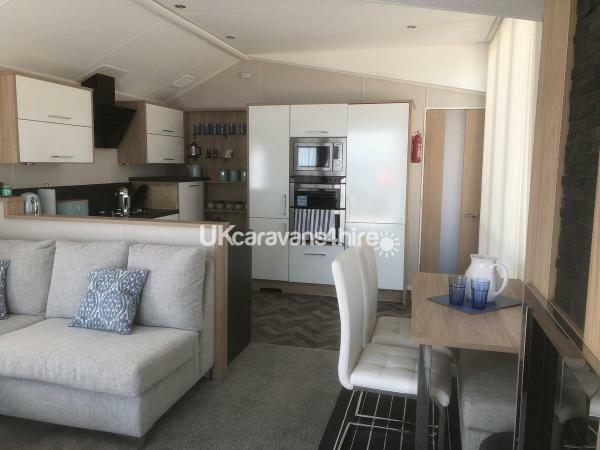 The holiday home is fully equipped to be a home from home with full size cooker, microwave, dishwasher, fridge-freezer and washing machine, TV and DVD. 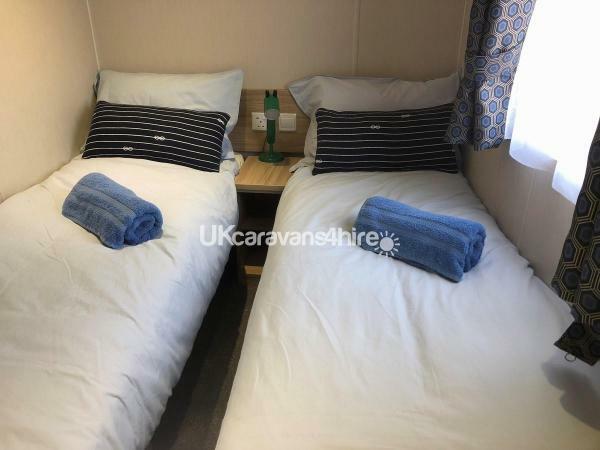 Away from the main living area you’ll find a double bedroom, and two twin bedrooms, a bathroom with a full-size shower and WC as well as a separate WC. 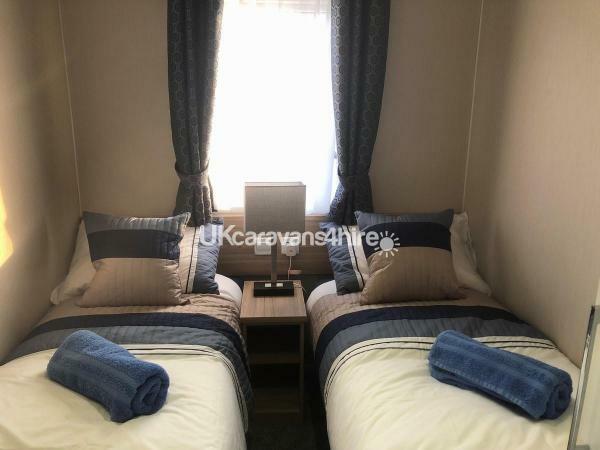 This holiday home and the living space make full use of the fabulous sea views, please note that the bedrooms are not vast but comfortable and all provide storage/wardrobes, the double and two single twin rooms are perfect for a family get away. 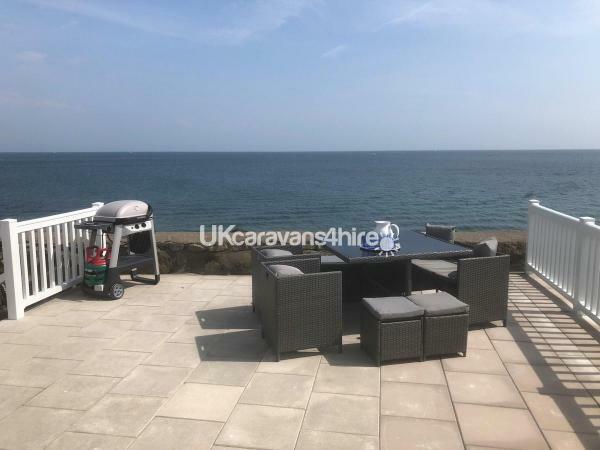 Outside you'll find parking for 3 cars a large deck to the rear of the caravan with views of the sea and a lower decked area which provides some shelter from the wind. Sadly all sites have rules and we'll send you details with the booking form but essentially. Please be respectful of our lovely community, especially our neighbours. Good luck dolphin spotting and happy holidays. Additional Info: Indoor heated swimming pool with childrens area. No reviews found. 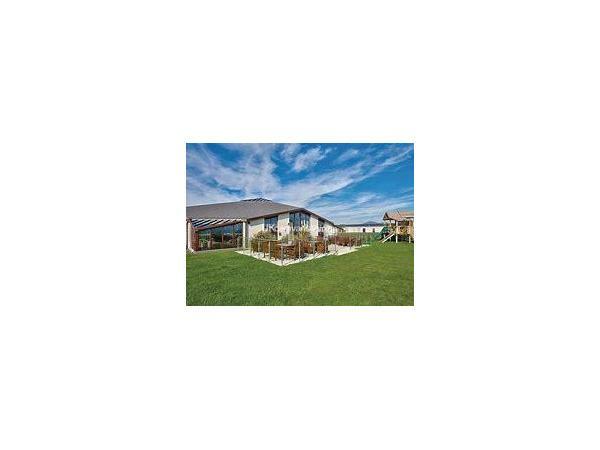 If you have recently stayed in this holiday home please leave a review, it only takes a few moments and will really help future guests when they are searching for holiday accommodation at Gimblet Rock Holiday Park.